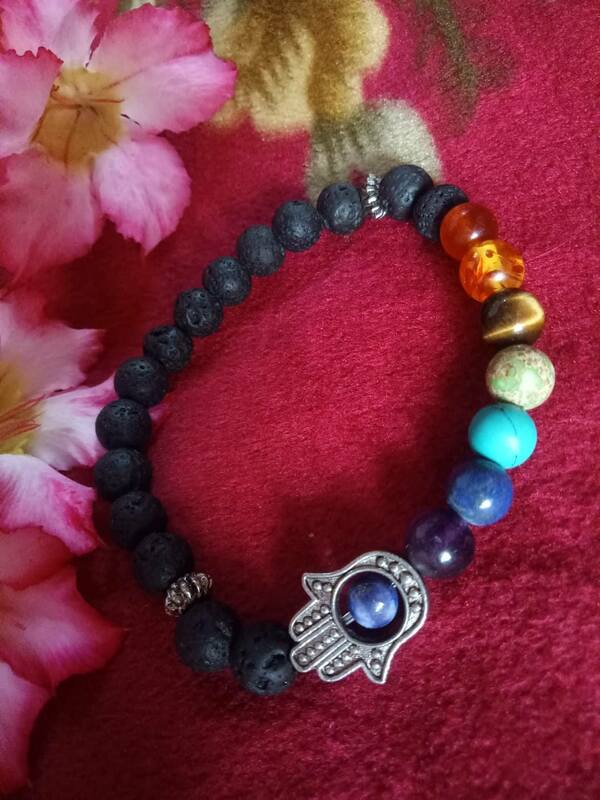 This outstanding original Seven Chakras Bracelet contains handpicked gemstones and an alloy Buddha spacer. 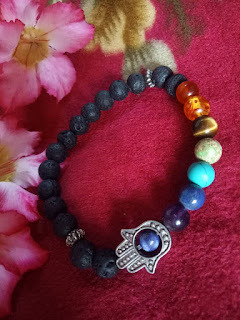 Seven Chakras jewelry are accessories designed to balance the seven chakras, which are said to be energy wheels used for centuries by Indian and Eastern cultures. 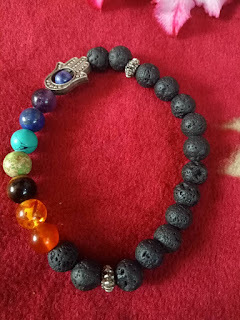 The jewelry usually consist of seven stones or charms in different colors or designs, each component representing one of the chakras — crown, brow, throat, heart, solar plexus, sacral and base. The jewelry uses stones with particular energy properties to subtly change the wearer's life and health. In theory, the negative energy leaves the wearer and becomes trapped in the bracelet. 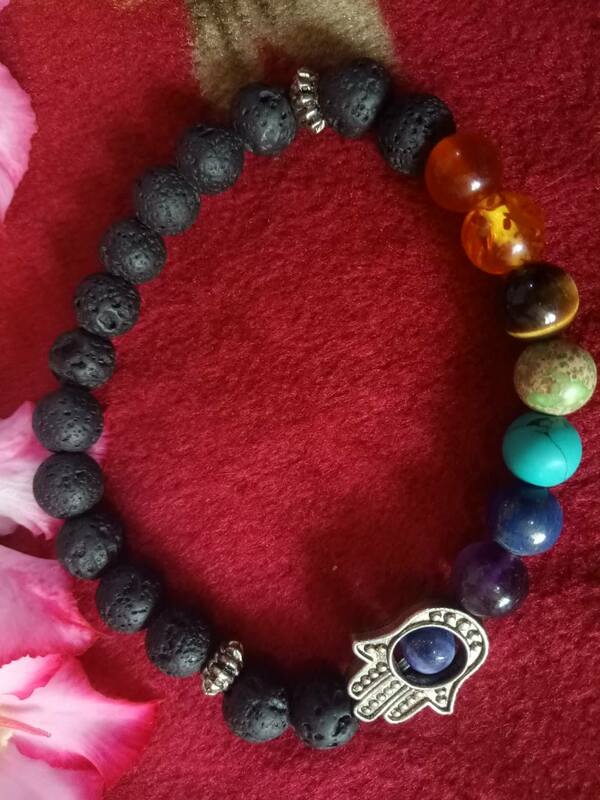 Positive energy then emanates from each of the stones and rebalances the chakras. There are many interpretations of the powers of different crystals.